Philippine-based payment solutions firm Salarium completed recently its initial coin offering (ICO) raising $13.5 million in the sale of its SALPay token. The development came amid pending ICOs of two other local fintech companies Tagcash and Qwikwire who aim to raise $16 million and $9 million in their digital tokens sale, respectively. Tagcash is a micropayments startup, while Qwikwire is a cross-border payments platform for enterprises in the Philippines. Although it originally targeted a $50 million token sale, the Salarium team took the much lower result of the exchange as a huge milestone. said Salarium founder and CEO Judah Hirsch. The company conducted the exchange under the symbol “SAL” using Ethereum technology. It sold over 34.2 million tokens. 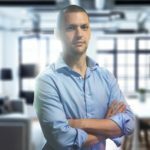 Helping hundreds of companies pay thousands of employees every month with its free payroll and e-wallet solution, Salarium is now adding a blockchain remittance service to help multi-national businesses pay employees across borders. In its ICO whitepaper, the company noted SALPay tokens will be used by its current and future clients to remit funds into the SALPay ecosystem from outside the Philippines. SALPay provides companies with automated timekeeping and payroll solutions combined with an e-wallet and debit Mastercard. Hirsch noted SALPay corporate users represent over 500 companies and more than 10,000 employees. 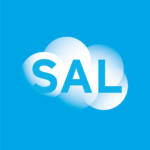 SALPay will establish or work with other exchanges in Salarium clients’ home countries, allowing everyone to provide fiat currency (USD, EUR, AUD, SGD, JPY) from their location and to simultaneously execute a buy-and-sell between exhanges. Founded in 2013 in Singapore, Salarium operates only within the Philippines serving mostly SMEs that are engaged in different industries such as BPO, manufacturing, retail, IT, among others.